We just got back from our trip to Universal & a day at Magic Kingdom. There were 5 of us including a teen & grandparents. These boards are always so helpful when I plan trips. I just wanted to return the favor and help others out. How many days at the park: We are all Harry Potter fans after reading the books. HP was the big reason for going. We felt that two days at the park with express passes was more than enough time. We rode everything that we wanted to ride and had plenty of time. Three days would have been too much for us. However, three days would be nice if you wanted to break up the time at the park and go back & enjoy the pool or resort. It really would be a nice break from the crowds. Express Passes: Yes!!! Totally worth it if you can spend the extra money. The regular wait time for lines was anywhere from 10-45 minutes. The longest we waited – 15 minutes. Most of the time it was 5 minutes or less. We walked by some pretty long lines with the express passes. They will scan your room key (which is also your express pass if you stay on site) each time you use the express pass line. They really check for the express pass. F.Y.I. it’s typically the shortest line. We heard a family complaining that they were in line for 35 minutes and nowhere close to the front of the line and they had express passes. They got in the wrong line. We were told the wrong line on the Mummy and realized it quickly. We left the regular line and got into the express pass one and were on the ride within 5 minutes. Lowe’s Royal Pacific: Great hotel! Yes, we would stay here again. Staff was very helpful & nice. Rooms were very clean. No bed bug. I always check. Nice big bathroom -- clean. Very comfortable pillow & bed. We didn’t eat at any restaurants at the hotel while we were there. We’re not big breakfast eaters and just packed protein bars for the mornings. My only complaint is the towels in our bathroom. The place where they put the extra 2 bath towels, 2 hand towels & 2 washcloths was on the top toilet tank lid -- gross. Keep in mind that’s there is no lid that comes down over the toilet seat when you flush it which makes it even worse. We asked for extra towels. My in-laws bathroom did not have this issue. Their towels were placed on shelf under the sink. We took the boat to City Walk every time. It was pretty quick. We never had to wait for a boat to pick us up. However, the boat will wait to fill up or for a new boat to come before they will leave. I think the longest we waited on the boat was 15 minutes one morning. F.Y.I. 1st thing in the morning the seats on the boat maybe wet. It rained early every morning when we were there. They will also look in your purse/ bags and check you with a metal detector before you are allowed to get on the boat. The good news is you won’t have to go through it again at the park or City Walk. The walking path maybe the quickest way to get to parks and you don’t have to wait for a boat to fill up. The Lockers: I hate the lockers. They will fit a backpack. You will need to put your stuff in the lockers on every ride. F.Y.I. – The Hulk Coaster -- you’ll have to take everything out of pockets including wallet. They asked my husband to pull out his empty pockets. They will even check you with a metal detector. Dining Plan: It was worth it for us to do the full dining plan. It’s just easier for the 5 of us to have the plan & know what we can get & where to eat. Honestly, I really don’t know if it’s the best deal for the full plan. I will say it is just nice to have it all taken care of. Each person will have a dining plan card that they will use for each meal/ snack. Be sure to check your receipt after each time because we found an error on our card when we got back to the hotel. The Universal attraction desk at the hotel helped us get things straightened out. The quick service plan would be perfect if it was just the three of us (I think it’s a better deal). We’re pretty laid back and would have been fine after a day at the park grabbing something quick like Panda Express at City Walk. Harry Potter: Really cool! The rides were a lot of fun!!! It’s very well done and the whole atmosphere is neat. Shops and restaurants are great. I will say I was surprised because I thought the HP areas would be a lot bigger. I guess I just wanted more. I also want to pass along to be prepared for crowds. I was really shocked at how busy the Harry Potter parks were while we were there. It was always busy. Again, express passes are totally worth it. Ollivanders: We went 3 times. The 3rd time my daughter was picked for the wand choosing. It’s fun. My advice would be to go in the afternoon for the wand choosing. We went 1st thing in the morning and stood in line for 25 minutes. There were always longs lines in the morning. We just walked right in for the next show in the afternoons at Diagon Alley. Travel to Disney: This was actually easy to do. Our hotel (Royal Pacific) has cars out front that run 24 hours and will take you where you want to go – for a fee. I believe it’s through Mears. They had a SUV that fit the 5 of us. They also had nice town cars waiting out front. You do not need reservations. We just went to the valet and asked for a car. When we were ready to leave Disney we called a number and they picked us up. It was very nice & easy. Liked our drivers. You can call the concierge’s desk and ask if your hotel offers this. I would call the hotel directly because the main universal number that I called was of no help on transportation to Disney. Getting to Magic Kingdom park entrance: I wanted to add this because this was a bigger deal than I thought it would be. We’ve always stayed onsite at Disney so we used Disney’s shuttle bus to the parks. I just assumed that when the driver dropped us off for Magic Kingdom that we would be at the front entrance at the park. I thought the parking lot for Magic kingdom was right in front of the park --- It’s not (LOL). There’s a transportation center that you’re dropped off at. This is the main parking area for several parks & taxicabs are there as well. You will walk fairly far and go through security check, wait in line and then get on a monorail to go to the park. Then you’ll be at the park entrance. This just was a lot of walking for my father-in-law. We got him a wheelchair once we were in Magic Kingdom (which we were planning on). I included this because I wish I would have known what a hassle it was to just get in the park. I’m not sure if Animal kingdom would have been any easier. Toothsome (not on dining plan): Very good food & great service. Be prepared for crowds. They seated us within 20 minutes on a very busy night. The Croque Monsieur with fries was delicious! My daughter had the Classic Margherita flatbread and really liked it. Hubby had the Patty Melt French Toast. He said it was good but became really sweet towards the end. My in-laws shared the Southern Fried Chicken BLT. They said it was okay. The waitress really sold them on it and they were a little disappointed. Dessert was the main reason for eating here. We were all full from dinner so we went with the sundaes instead of the shakes. The three of us split the Brookies, Cookies, & Cream Sundaes – very yummy. It was plenty of dessert for the three us. My in-laws split the Banana Cream pie. My mother-in-law really like it. F.Y.I. There’s no sugar free dessert or ice cream there. They also have an area at the front of the restaurant with tables for only dessert. That area was a little less crazy than the restaurant. Antojitos Mexican Restaurant: This was a fun place to eat after a full day at the park. We had a table on the patio and had excellent service. We all liked our dinner and the dessert that came with dining plan was delicious (flan & churros). It was the best flan that I’ve ever had and I’m not a fan of flan. We all liked this restaurant. Red Oven Pizza: Yummy!!! The place was clean and staff was friendly. This was another great place to hit after the parks. We had the Margherita & Alla Benno (like a Hawaiian) pizza with a Caprese salad. I would try a different salad next time, but other than that everything was great. My in-laws had the Big Eye Pepperoni pizza. You get a very large delicious cookie for dessert if you’re on the dining plan. The three of us really liked this place. My in-laws thought it was okay. The Three Broomsticks: Fish & Chips were very good. Daughter had the cornish pasties and garden salad. She didn’t like it (Hubby didn’t either) so I shared my fish & chips with her. The Cornish pastries filling is a moist shredded beef with lots of pepper that has a pie crust around it. There’s nothing else in the filling – just the meat. The plus of eating here is that they help to find a table for you which is nice because it’s a busy place. Leaky Cauldron: The specialty chicken sandwich is so yummy! The three of us really like it. My in-laws had the banger sandwich and didn’t care for it. We all had the pumpkin juice here and it was really good. It reminded us of apple cider with a twist. We called it a fall drink in a glass. They also help you to find a seat at this restaurant as well. This was our favorite food place at HP. The Fountain of Fair Fortune: We stopped in here for butterbeer & Fishy Green Ale (which was so good). I love the blueberries in the Fishy Green Ale. F.Y.I. If you’re on the dining plan the drinks here are used as a snack, but totally worth it. Last edited by happyfamily4; 11-21-2017 at 11:37 AM..
We've just returned from Royal Pacific in October and really enjoyed it too it is a lovely resort. I just wanted to add that there is a grab and go option for breakfast, the sushi bar, I think it's The Orchid? is a grab and go in the the mornings serving, fresh pastries, fruit cups, cereals, toast, bagels, pancakes, coffee and more. All are served in takeaway cups/containers but you can eat in or take it back to your room (which we did) or take it out with you. I stayed at the Royal Pacific back in October for four nights and loved the resort. As Suzanne said above there is a GNG place and is the Orchid Lounge, just past the check in area off the lobby. I went here each morning as it was quick and easy and not usually overly crowded. Thanks for putting that together. Sounds like a great trip. Thanks for letting me know on the grab & go breakfast options. We totally missed that. That would have been perfect for us. I just took that part out of the review. I wished we had more time to enjoy Royal Pacific. It really was a nice resort. Hope you all have a Happy Thanksgiving! Thank you so much for all this information. 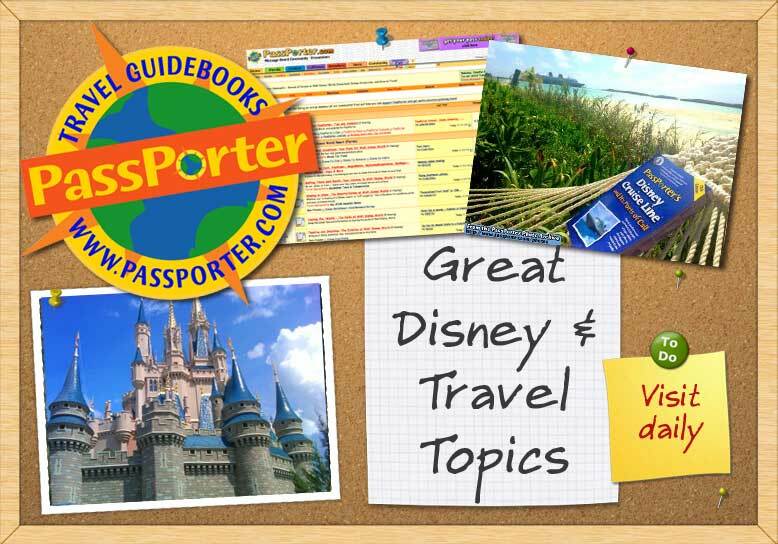 We are thinking about a summer trip and this is very helpful since we've never been to Universal. I feel we need more posts like this one. Thank you for putting your time into this and being so observant, that's really awesome!